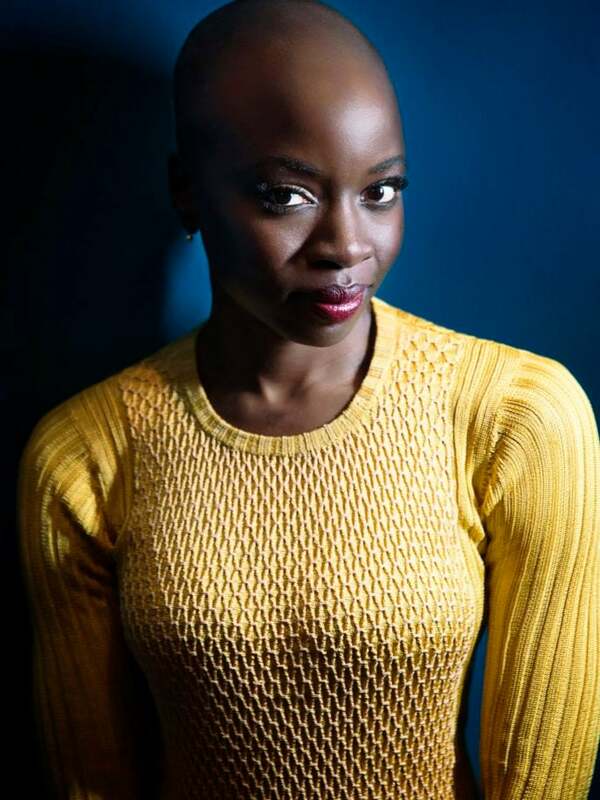 Actress Danai Gurira has consistently used both her craft and her increasingly large platform to spread awareness about issues affecting women, girls and communities of color in general and she recently teamed up with Johnson & Johnson to help spread awareness about the widespread HIV/AIDS epidemic as part of their #makeHIVhistory World AIDS Day campaign. ESSENCE caught up with the Black Panther shero just ahead of World AIDS Day and she opened up about why this specific cause is one close to her heart. Gurira also emphasized how seeing the powers that be address the issue on a primarily statistical level without much connection to the actual people living with the disease played a big role in her motivation to want to help in any way she could. Danai Gurira poses for a portrait at the Getty Images Portrait Studio powered by Samsung Galaxy at Comic-Con International 2014 in San Diego, California. An incredibly talented actress who is noticeably intentional about taking on roles in projects that feature strong women with a broader social message behind their stories, the “Walking Dead” star says she’d certainly be open to being a part of a project that brought the impact of HIV/AIDS on women and young girls to the big screen. “Absolutely. I’ve spent some years going around parts of the world performing a [theater] piece that was around this issue,” Gurira says. “So, it would be a no-brainer for me to tell stories from the African perspective, from the African female perspective and from the Black perspective and highlight the way this issue intertwines in the very fabric of so many lives of women across the continent and even here in the United States. It would be a very organic thing to tell that story on screen. While completely eradicating the disease may seem like a tall order to some, Gurira believes there’s much truth and power behind one of Nelson Mandela’s most inspiring quotes as it pertains to the work to be done to get to a point of eradication. Speaking about the dire importance of working to eradicate HIV/AIDS for the next generation, Gurira says it’s imperative that the focus is on creating a better, HIV-free world for children. Gurira’s 2008 stage play, In the Continuum, examined the devastating impact of HIV/AIDS in Africa. She cited a heart-wrenching encounter with a mother and her young daughter while traveling to perform the play as one of many moments of direct interaction that further fueled her desire to want to help bring about change. Danai Gurira poses backstage during the Tory Burch Spring Summer 2019 Fashion Show. “One of the most heartbreaking things I ever went through is when I was performing In the Continuum, I met a young girl whose mother told me that she was HIV positive and that her daughter had been born with HIV. And she said to me, “she has a question for you,” and [her daughter] asked me where it came from. You realize, this girl was born with it and she had to deal with this her whole life so, through watching the work [we were doing with the play], she wanted to connect with me on that and have me address it for her.